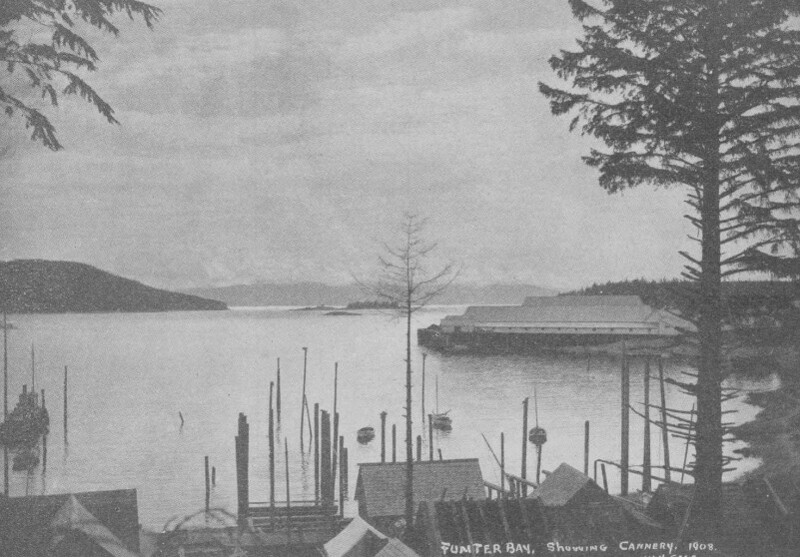 Part of the Thlinket Packing Co’s cannery included a fish saltery. Soaking fish in salt brine or packing them in dry salt was an older preservation method than canning. 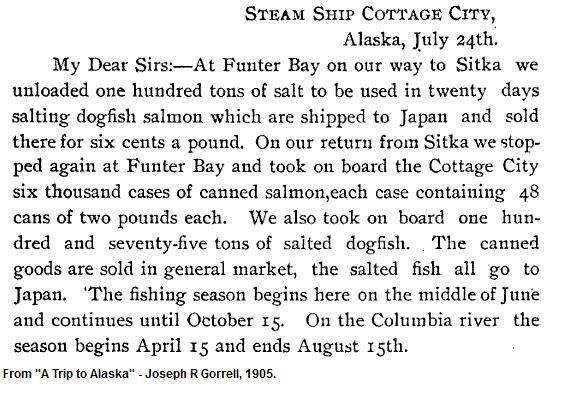 Although an apparent step backwards in the progress of fish packing, salted fish would have been cheaper to process and package than canned fish, and allowed the cannery to reach other markets at a lower cost (mainly Japan, but possibly Europe as well). Salted fish was also sold to local fox farms for winter feed. 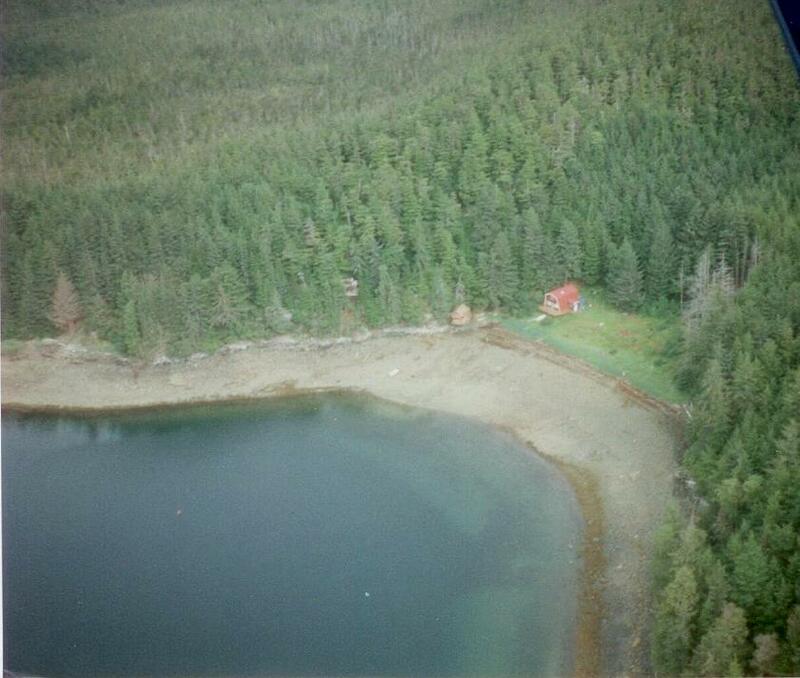 By the time the cannery closed, the saltery was located in a small cove adjacent to the main property. 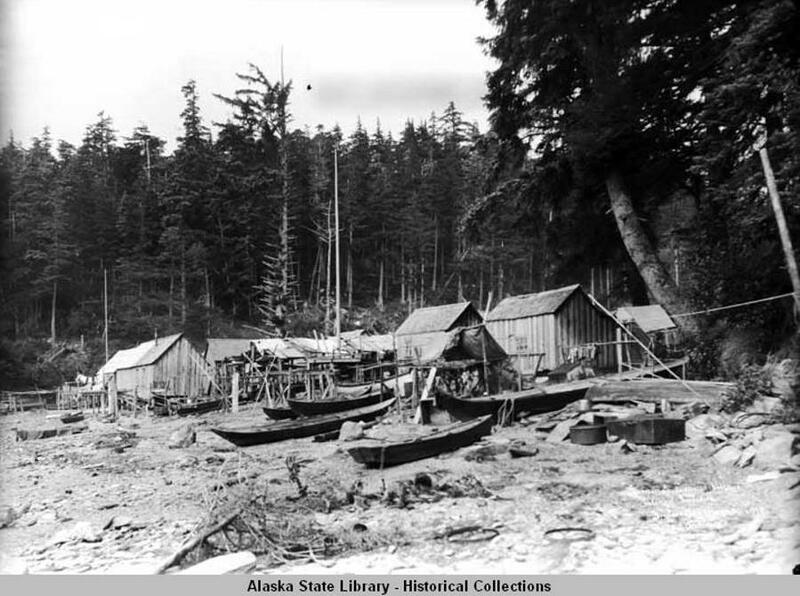 Initially this site was used by Tlingit natives who worked at the cannery and fished in the area. After the rise of imported seasonal labor, employment of local natives seems to have declined. 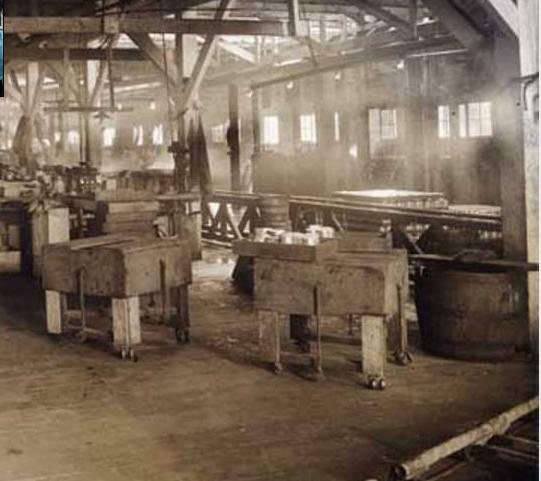 The cannery was salting fish as early as 1905, or perhaps sooner, as mentioned in a publication from that year. 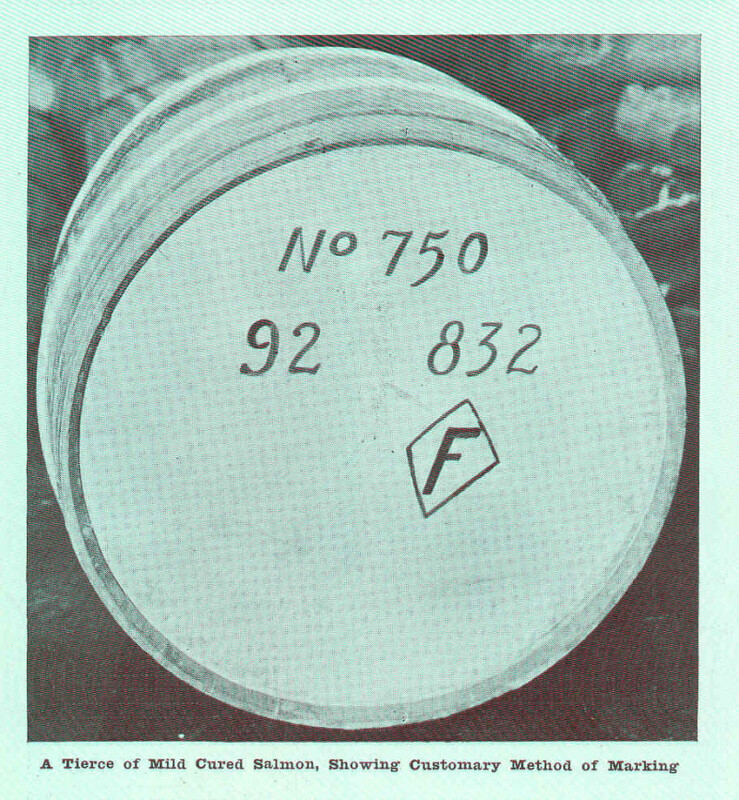 Fish were packed into large (~100 gallon) wooden barrels called “tierces” filled with salt, which dessicated them and prevented decay while they were shipped overseas. Apparently a “tierce” was a unit of measurement which varied depending on what you were measuring (a tierce of wine was 42 gallons). 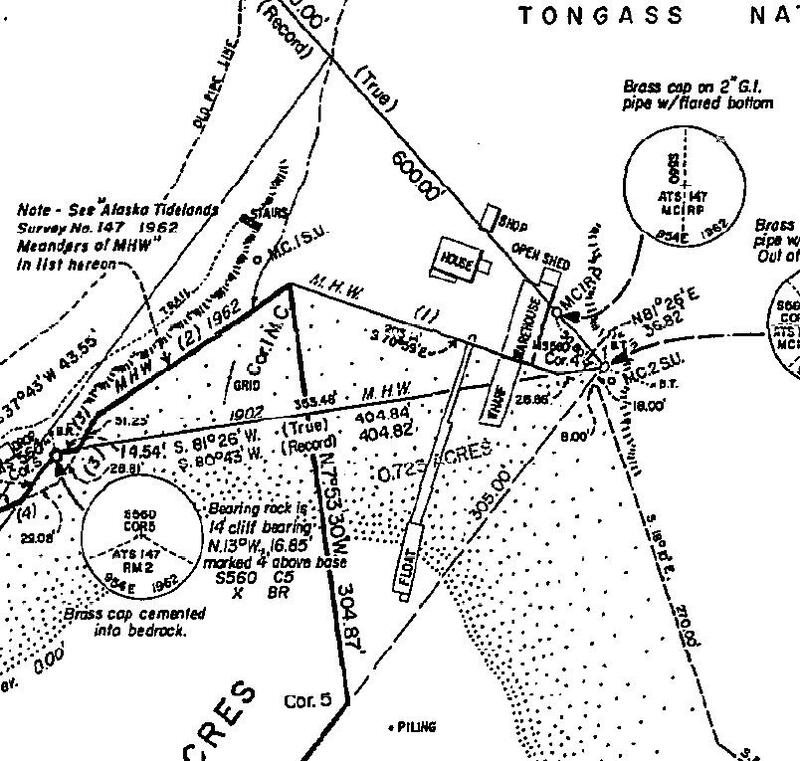 This document describes the salting and packing process, which involved pickling 800-1000lbs of fish in a tierce for some time, then removing and re-packing them in a different percentage of salt and brine. Another term for this is “Mild Curing“. Mild cured kings were often shipped to Europe (mainly Germany) and were further processed by smoking when they reached their destination. 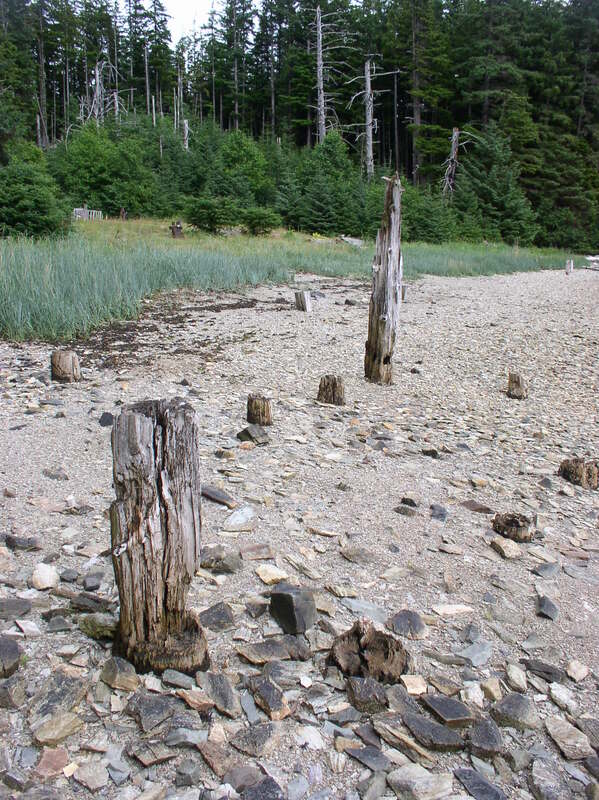 Courtesy of UW Freshwater and Marine Image Bank. 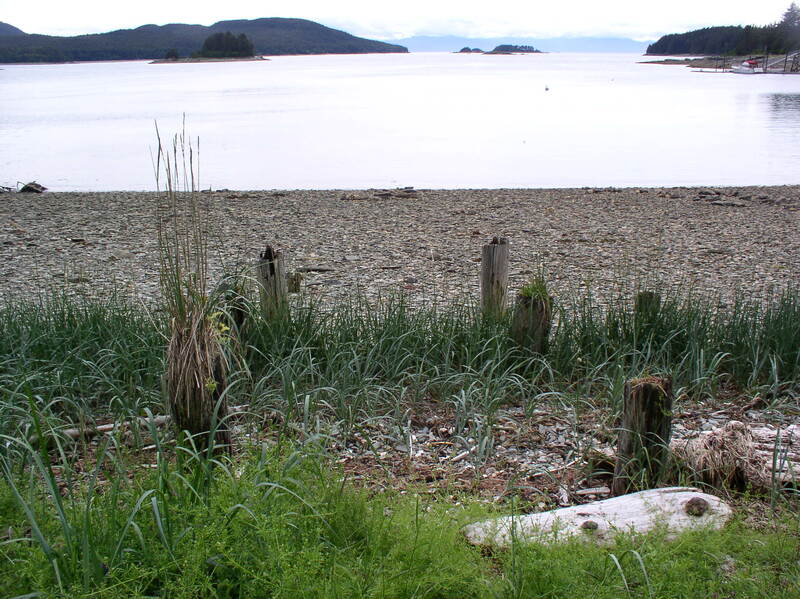 Leftover tierces can occasionally still be found around Funter Bay, some were used as water tanks or septic tanks at local cabins. After the cannery closed, Harold and Mary Hargrave lived at the house near the old saltery (more on them in a future post). Unfortunately their property was destroyed in a fire in the early 1980s. 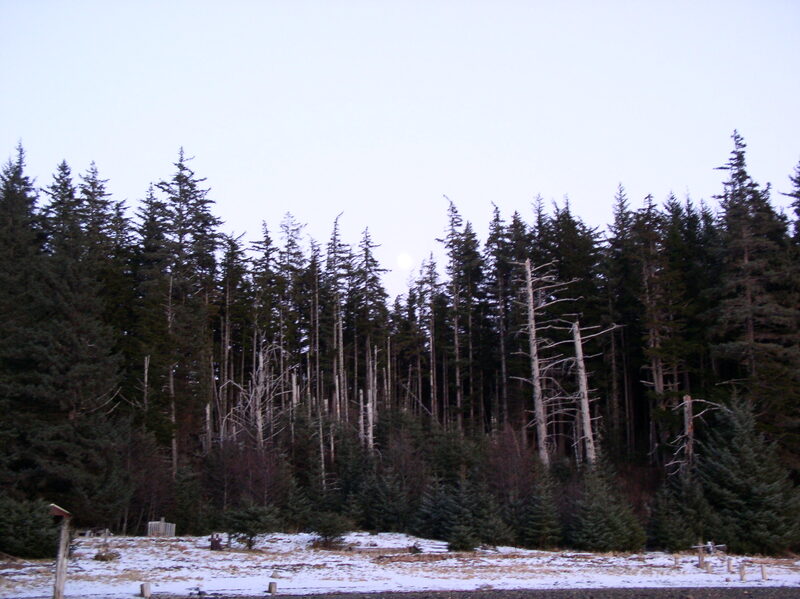 This entry was posted on Tuesday, May 21st, 2013 at 12:05 pm and is filed under Funter Bay History. You can follow any responses to this entry through the RSS 2.0 feed. You can leave a response, or trackback from your own site.